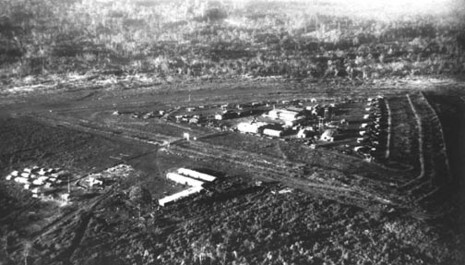 The Siege of Plei Me was a battle during the Vietnam War, which led up to the Battle of Ia Drang. Brigadier General Chu Huy Man of the People's Army of Vietnam (PAVN) was tasked with drawing the US Air Cavalry into battle, to learn about its fighting capabilities, and then circulate the information among the PAVN and National Liberation Front (NLF). To this end, Lt Col Hoang Phuong was tasked with debriefing PAVN commanders after battles. ned by around 350 Civilian Irregular Defense Group (CIDG) soldiers - Montagnard soldiers, many of whom had family just outside the base. In October, the 33rd Regt attacks Plei Me Special Forces Camp approximately 40 miles south of Pleiku City in the Pleiku Province. Plei Me is garrisoned with a 12 man US Special Forces Team and 350 Montagnard mercenaries. The siege continues for several days. An Army of Vietnam relief force is sent out from Pleiku and is ambushed enroute by the PAVN 32nd Regt. 1st CAV Artillery supports the ARVN column and the ambushers are beaten off, and the siege is lifted.